Each year we erect and dismantle a five scene Nativity Display for viewing during the Festival of Lights in East Peoria, IL. This nearly life size display has always been the work of volunteers and remains that today.. Here are some pictures of the display; for more information on the display scroll past the pictures. In 1985 Jim Ranney then the mayor of East Peoria, IL sent a delegation to Buffalo, NY to investigate their winter time festival. The purpose was to find an activity that the city could use to keep the hotel-motel tax in town; this tax must be used to promote tourism, or it reverts to the general treasury of the state. The volunteers that gathered the first year named the festival the Festival of Lights which later had the words East Peoria Illinois added becoming the acronym FOLEPI. This acronym then became the title given the toy soldier image used as a logo. These same volunteers wanted a nativity scene included in the festival; however, because of the current interpretation to the constitution a separate group was formed - the Nativity Display Association. In this way it is easily seen and controlled that there aren't any taxes used to support the display in any way. It was this group that built the five scenes during the first two years of the festival using the time and talents of many men and women of the immediate area. Lacking a common bond other than their desire to see a life size nativity scene built it was difficult to get enough people together to set the scenes up and dismantle them each year. In 1988 the members of Msgr. 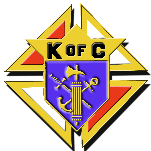 E. L. Grzybowski Council Knights of Columbus 7580 helped along with other people from the community. In 1989 the council was asked to assume the responsibility of setting up and dismantling the scenes each year. Two members of the council, Don Stenstrom and Max Cheatham, agreed to accept the responsibility for the coordination of this effort. Don has been the liaison between the council and the Festival commission while Max has coordinated the efforts of the council. Each year approximately twenty members give six hours on a Saturday to set the scenes up and four hours to dismantle. Don and Max's wives prepare a lunch for the crew that sets up and the dismantle crew is treated to lunch at a local restaurant that is the major financial supporter of the Nativity Display. After twelve years it became noticeable that time and conditions of storage was causing the scenes to deteriorate and they would have to be replaced. So Don and Max wrote to two hundred churches of all denominations requesting assistance - receiving only five responses and three contributions. Over the next two years contributions were requested of local businesses and one or two responded; but, still there wasn't enough funds to proceed. Quite a substantial sum of money was needed because the decision to use a special aluminum laminated material rather than plywood had been made. This aluminum material was then covered with decals digitally printed from photographs of the original scenes. In this way the work of the artists in the first group of volunteers would be preserved and the original concept could be maintained. Finally, in July of 1999 sufficient funds had been collected or pledged so that work could begin. Materials were ordered and work began on August 14th and continued until October 30th with the size of the crews varying as work required. A total of 1983 man hours were volunteered for the reconstruction of the five scenes. Without the unselfish giving of their time night after night, Saturday after Saturday; and even one Sunday, this reconstruction would not have been possible. The people of East Peoria and the many visitors to the Festival unknowingly owe a debt of gratitude to you my Brother Knights that can never be repaid even in part. This reconstruction process also got volunteers working that are not members of the Council or the Order and in one case is not Catholic. On November 6th a group of twenty-eight volunteers gathered to set up the display in preparation of the fifteenth annual Festival of Lights in East Peoria, IL. Once more the fellowship, the pride and joy of setting up this display of the true meaning of Christmas was evident in the faces of all that participated including the veterans as well as those that gave of themselves for the first time. We need financial help to bring this display to the people that tour the Festival of Lights; so, if you believe this display should continue please be generous with a donation to our council marked for Nativity Display Assn. Our address is under Contact Us.